Rolph Ralph is an ordinary 11-year-old boy who never makes fun of other people’s names. Never! But when he gets angry with his embarrassing clown dad and his egg-poaching mum, a nasty encounter with some cruel fairies results in a shocking and uncomfortable mix-up involving Hercules the obese pigeon, Selina the deaf ostrich, an unsavoury fairy called General Bunion and lots of other funny characters. 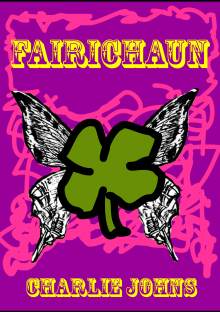 In fact, Fairichaun is full of surprises and strange happenings from beginning to end.